How much is the charge for delivering two toner black cartridges to my home in Spain for my Samsung ML -1915 laser printer please? I need to replace toner for the first time in my Samsung ML-1915 laser printer but don't know how? 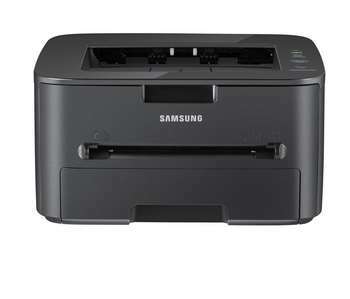 You'll grab the biggest bargains for all Samsung ML-1915 laser printer toners today on Cartridge Save. With Cartridge Save you cannot make a mistake when you are seeking discount Samsung printer toner cartridges. Using Cartridge Save, you'll not have to use time searching locally for the Samsung supplies you need. Get the best bargains every day with us. You can be assured of peace of mind if you place an order for brand new Samsung ML1915 toner with us thanks to our rock solid cashback guarantee. We'll help you spend even less money on toner cartridges as every order comes with 100% free delivery, which typically arrives with you the following working day! The Samsung ML-1915 is a entry level printer that is a perfect choice for high quality black prints for personal or home office use. It works great on both Windows and OS X, with streamlined controls on each operating system and quite a few useful features on the device driver. With simple controls, a decent price, and quality black prints it is a printer worth considering. The design of the ML-1915 is compact and simplistic. The controls are a simple 3 button setup with two LED indicators. Once extended, there is a 250 sheet paper tray coming out of the front and a large power housing box at the rear of the machine. Located on the top of the printer is a single page specialty for multi-side prints an a simple pop-up to refill cartridges. There are two useful features that are currently unique to the Samsung ML-1915. The first is the print screen option located on the control panel of the printer. When pressed, this button captures whatever is on the active window of the attached computer, or the entire screen depending on preference, and prints it to scale onto a sheet of paper. While this normally would be unwieldy for a computer located on the other side of the room, the ML-1915 is one of the few printers compact enough to be within arms reach during normal operation. The other feature comes in the form of included software. AnyWeb is a great little extension which creates a scrapbook style photo. Snippets from the web can be placed onto a virtual canvas and then printed or saved as a PDF or TIF file. Unfortunately, the only connection for this computer is the USB port located on the back. This can become problematic when it comes to memory slots or microSD cards but does not seem to be a problem for regular home office usage. The bulky housing coming out of the back seems to be a nuisance in a very confined workspace as the printer will not sit flush to a wall unless turned to the side. Overall this is a tidy mono laser printer with a decent design and some useful features. Producing nearly 14 pages per minute with a sharp image makes this machine worthy of consideration for personal or small office use.